What's the best way to spend $28,000? I dunno! Probably something charity-related. But a noticeable way to spend $28,000 is to group a bunch of iPads together and call them the biggest iPhone in the world. 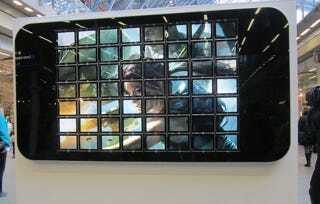 Lara Croft Shows Off The "World&apos;s Largest iPhone"